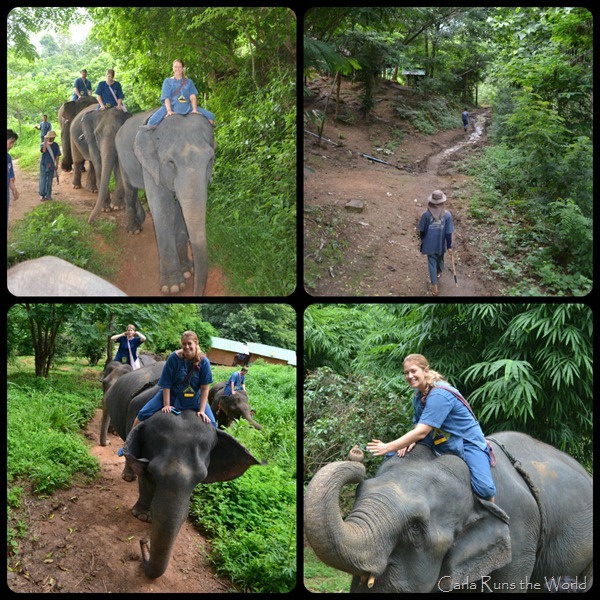 Riding Elephants in Chiang Mai, Thailand! 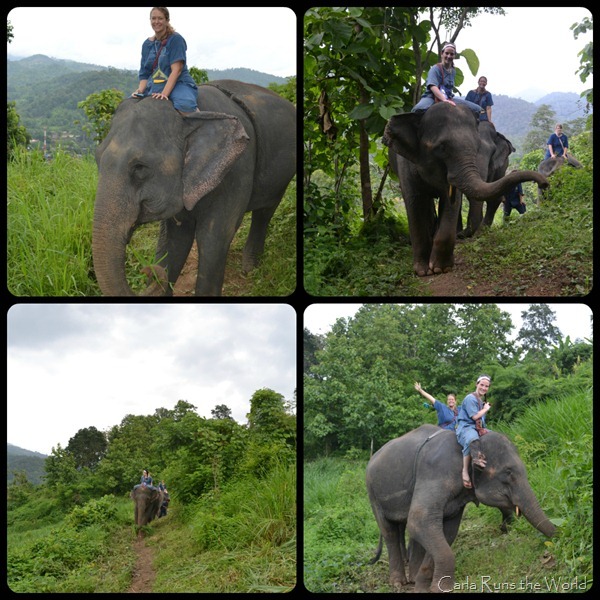 By far, my favorite activity in Asia has been riding elephants in Chiang Mai. I had one it before with my parents, so back in June when Michelle’s plans to go to Chiang Mai almost fell through, I jumped in as a replacement friend! 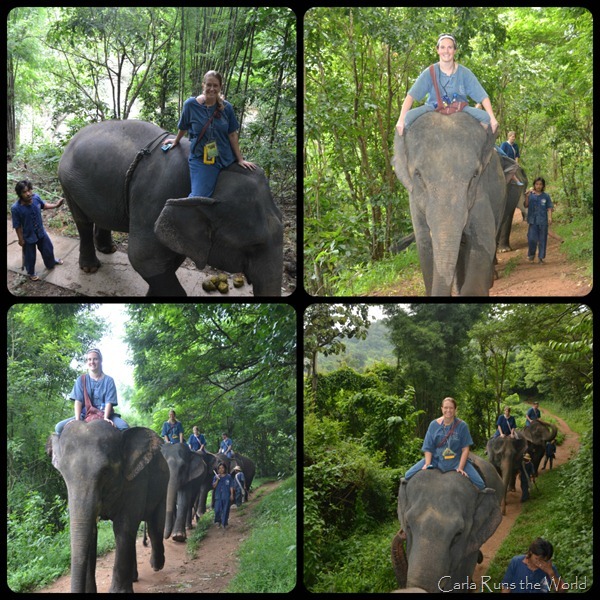 Nothing like having 2 days notice and riding elephants, no? Now for the pictures! That’s the fun part no? 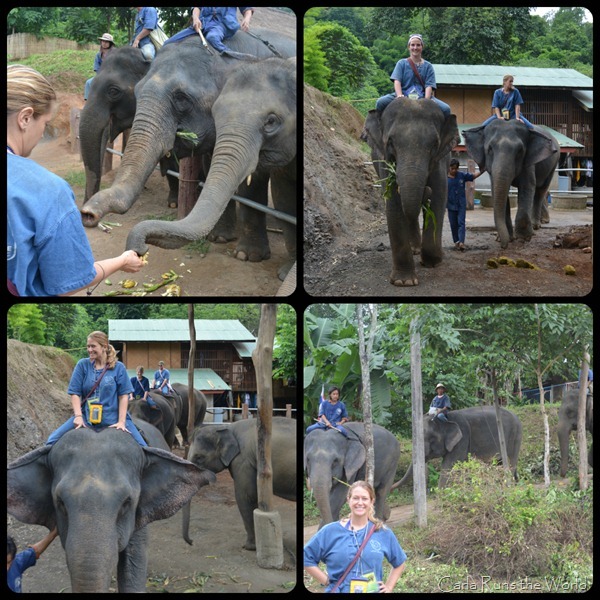 Thai Elephant Home was considerably more expensive than Ran-Tong Elephant Training Camp, that I used back in January. And months later, I still don’t know which place I would recommend over the other. There are considerable differences between the two places, but is it worth the extra money? I’m not sure. Ran-Tong was definitely more bare bones, more rustic, a much smaller company. It was also 2 people per elephant vs one person per elephant. 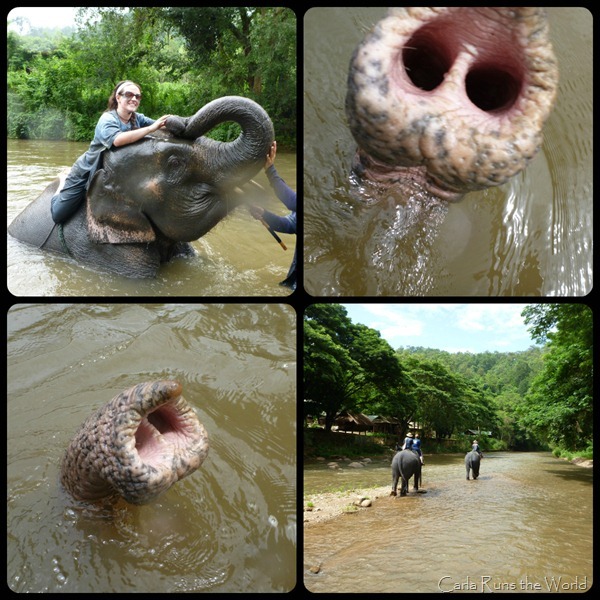 The trail was shorter, and the spot you went to swim in the water with them much smaller, not fitting more than 2 elephants at a time. At Thai Elephant Home, you spend all day away from camp, but it was a much more grueling hike (for my parents who decided to walk more than ride – they’re old and more afraid of heights, probably because a fall would do more damage to their bones than mine – Ran-Tong was much easier for them to tag along with us). 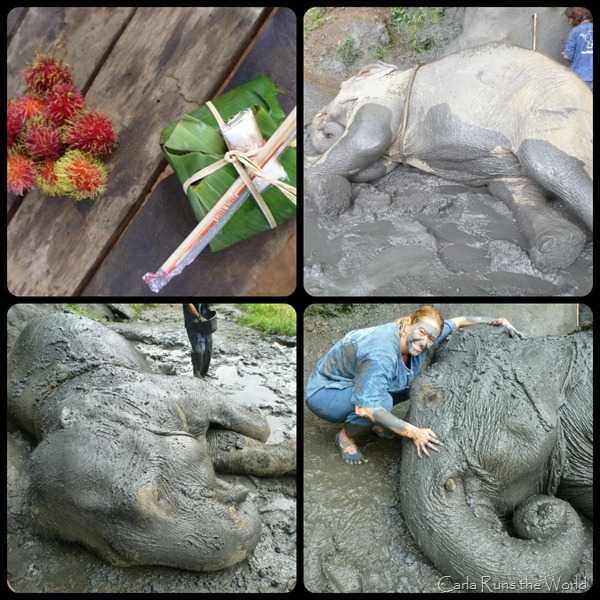 At Thai Elephant Home you also took a mud bath with the elephants which was a blast, but to be honest, being covered in wet mud on top of an elephant who was also covered in wet mud, was not a good combo. 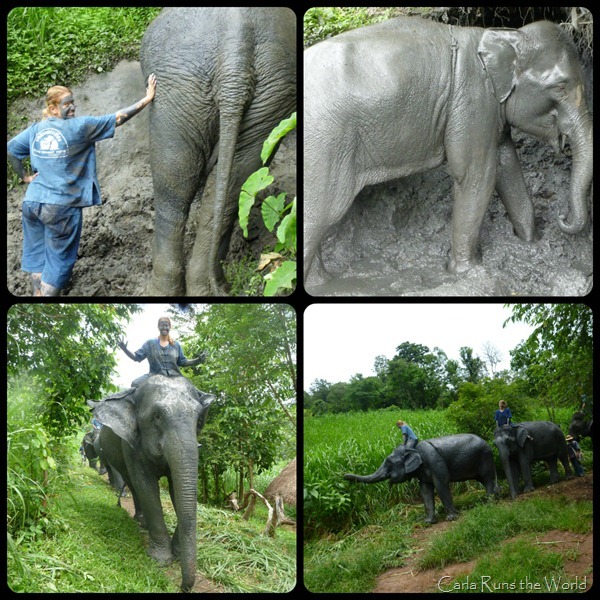 I was slipping and sliding, and while on the way there I was having a great time, on the way from the mud to the river (all downhill) I was quite terrified, as I literally almost fell twice (my elephant liked grabbing plants from the side of the path and the jerking of her body, just made me slip a lot). At the end? They were BOTH worth it. I don’t think you can go wrong with either of the places. And the lunch at both spots was amazing Pad Thai, so you can’t go wrong! 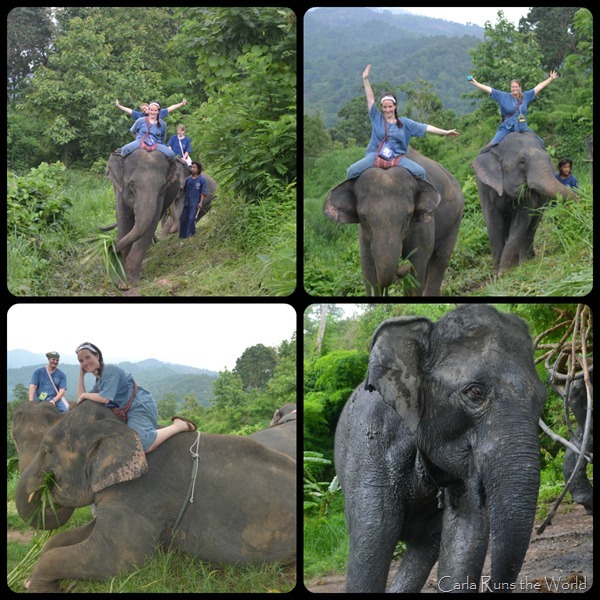 All I hope is that this was not my last time riding elephants. 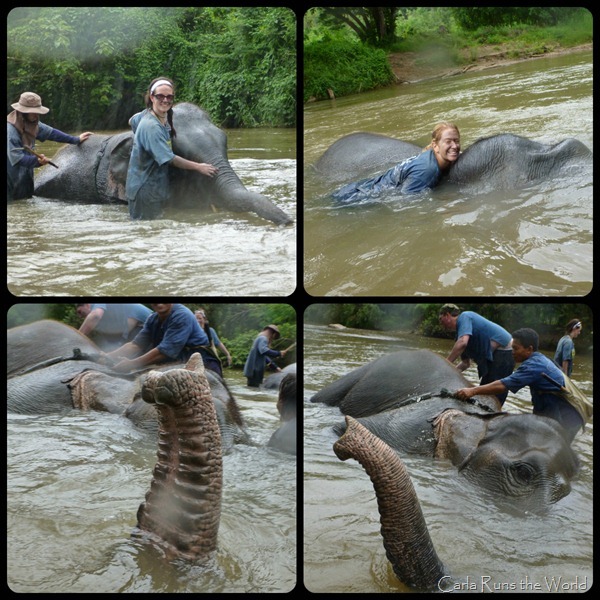 I think 2012 would be a year I’ll always look back to fondly: I rode elephants twice, went diving with sharks and manta rays in Palau, and went to so many new places! The year is not even over and I’m already nostalgic! One of the things I love about Asia, is all the markets you can go to. They tend to be fairly different from country to country, offering local food and goods. I can spend hours in them and not get tired (Karl gets tired after 5 minutes…). Michelle doesn’t love markets as much as I do, but she was a good sport. I bought a bunch of new things (how can you resist when it’s all elephant themed?). Chiang Mai has a night market, a food court that I totally failed to take a picture of (yummy Thai food! ), a Saturday market (over a mile long!) and a Sunday one. We explored them all! These little fried quail eggs were amazing! YouTube MySpace and I’ll Google your Yahoo! Or let’s go back to MySpace and you can twitter all over my facebook! 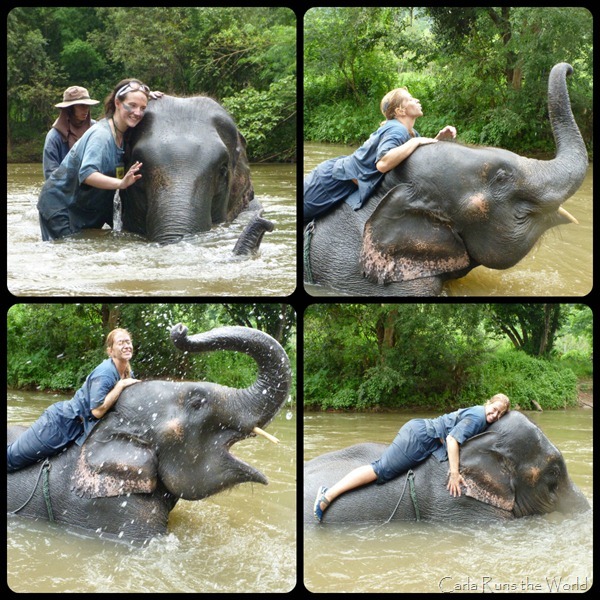 Remember how I went to Thailand with my friend Michelle then didn’t blog about it? So yeah, as you can see, this week I’m on a roll! I think the fact that on Friday (!!!) we leave for our R&R trip to the US (ah, Target, my love, how I missed you), it’s giving me a deadline to catch up as much as I can (I think the posts might run over to next week as well), so in the US I can well, talk about the US. I mean, who is thinking “riding elephants!” while constantly shopping at Target? As soon as we arrived, we hopped on a songthaew and headed over to Tiger Kingdom. Then moved on to the tiger cubs (“smallest” tigers). Our last stop was the BIG tigers (they’re around 2 years old – after that they get sent off to zoos and no longer interact with people as they can be more aggressive, specially as they keep growing in size). Yep, Michelle is queen of silly pictures! If you’re ever in Chiang Mai, a stop at Tiger Kingdom is a must! This morning I had a security clearance interview for that job I got at the embassy (yes, it’s taking forever). As we were going out our building, my friend Michelle ran up to us and asked for a ride to the embassy. Oh, wait. What?!? You don’t need to tell me twice! By noon my tickets for tomorrow were booked (talk about last minute! 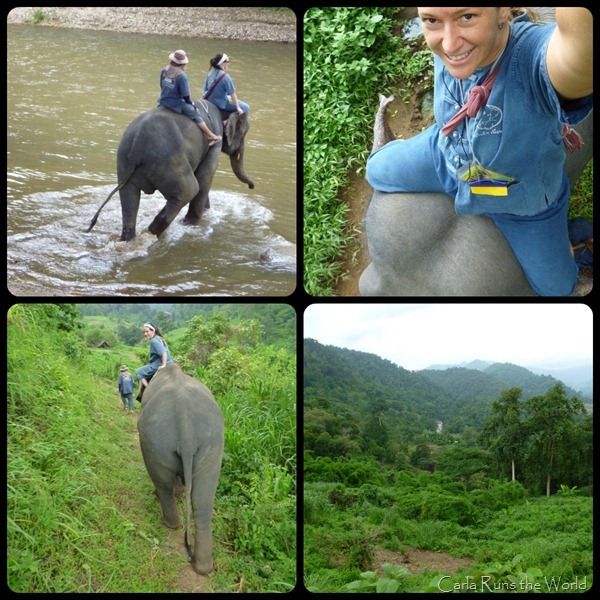 ), and as Michelle has been to Bangkok but not Chiang Mai, and she’s been wanting to go there (and I’m dying to go back) we are hopping on another flight and Sunday we should be riding elephants. For real. AGAIN! I’m so super-excited to have a chance to do that one more time before we leave Asia! So though yet another trip won’t help much on my blogging, I will come back with even MORE pictures to post! There was our relaxing trip in Kota Kinabalu, my trip with Tracy to Coron (Tracy left yesterday, boo! ), and now back to Thailand. And to think this morning when I woke up, traveling wasn’t even on my radar!